The occasion of what would have been the 50th Anniversary of the MYO was marked by the CBSO Youth Orchestra at their concert in the Warwick Arts Centre on Sunday 29th October 2006. Since Stravinsky’s Greeting Prelude is based on the tune Happy Birthday, it proved to be a very apt opener! Tonight the CBSO Youth Orchestra celebrates what would have been the 50th anniversary of its predecessor - the Midland Youth Orchestra (MYO). The MYO was an independent youth symphony orchestra founded in 1956 by Blyth Major, then General Manager of the CBSO. The orchestra existed to provide young musicians with valuable experience and training in orchestral playing and performance, either to prepare them for a career in music or to provide an enjoyable leisure pastime. Major’s pioneering work was continued for many years by the late James Langley. The orchestra performed in all of the major concert halls in Birmingham as well as in concert venues around the region. It travelled abroad from time to time and took part in many international festivals. Blyth Major and the MYO were at the foundation of the International Festival of Youth Orchestras serving as host orchestra to all of those festivals in which it participated; these events attracted conductors of no-less fame than Leopold Stokowski, Claudio Abbado, Carlo Maria Guilini and even Aaron Copland in both a conductor/composer role. The MYO’s participation in the Banff International Festival, Canada, in 2000 and its involvement as the host orchestra in the 1988 and 1996 Aberdeen International Youth Festivals (among others) highlights the important musically educative role that the MYO fulfilled. 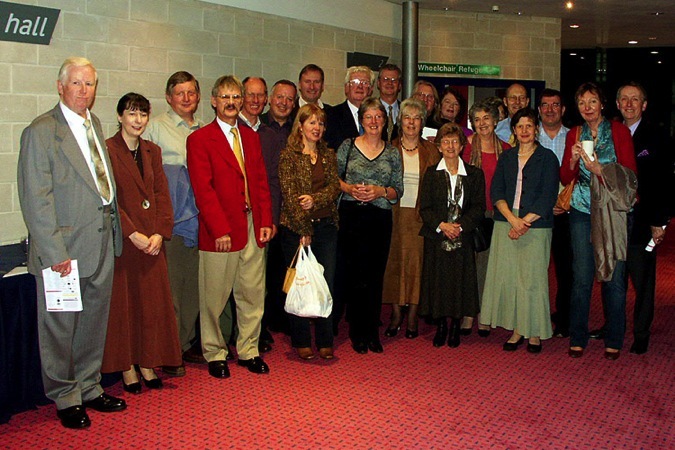 The orchestra’s 1988 concert at Aberdeen was later broadcast in full on BBC Radio 3. Its educational role is further underlined by the fact that the MYO’s Patron, Paul Daniel, directed the orchestra in Masterclasses from time to time. Sectional rehearsals were held regularly and were supervised by professional tutors, including members of the CBSO. Paul Daniel has continued his relationship with the CBSO Youth Orchestra, as a guest conductor, while the principle of sectional rehearsals with CBSO players remains a vital part of the CBSO Youth Orchestra’s courses. Former MYO members hold positions as players, teachers and administrators in all areas of professional music - both at home and abroad. 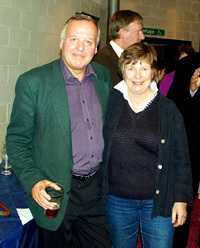 The former Chairman and past Music Director, Stephen Williams (who supported James Langley for more than 20 years), and the final Music Director, Anthony Bradbury, were both former playing members. 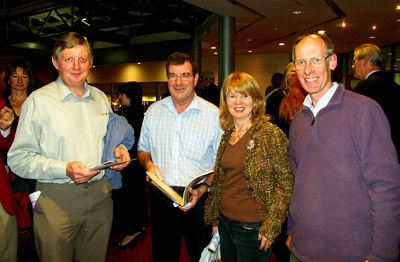 Current and recent CBSO musicians who were former members of the MYO include David Gregory (violin), Ian Ludford (cello), Peter Hill (timpani) and Martyn Davies (clarinet). Other distinguished MYO alumni include the composer Brian Ferneyhough, the late David Munrow, and Howard Davis, leader of the Alberni Quartet; as well as members of almost every major British symphony orchestra and opera company. 32 MYO members formed the core of the CBSO Youth Orchestra in October 2004, and six of these are playing today. After an emotional final concert in July 2004, the Midland Youth Orchestra was incorporated into the CBSO Youth Orchestra. However, the Midland Youth Orchestra website is being maintained as a record of the MYO’s many achievements.